The captain of the aerial acrobatics group The Wonderbolts gets her own vinyl figure! 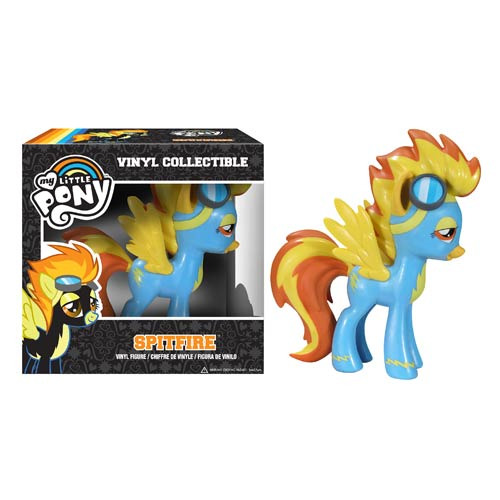 This My Little Pony Spitfire Vinyl Figure measures about 4 1/2-inches tall, and features the same look you know and love from the My Little Pony: Friendship is Magic TV show. Because of her perfect size, you can display her anywhere, whether it's at school, work, or at home. Ages 5 and up.